15.6" x 21.4" stitched on 14 count. 12.1" x 16.7" stitched on 18 count. 10 Polar Bears cross stitch pattern... 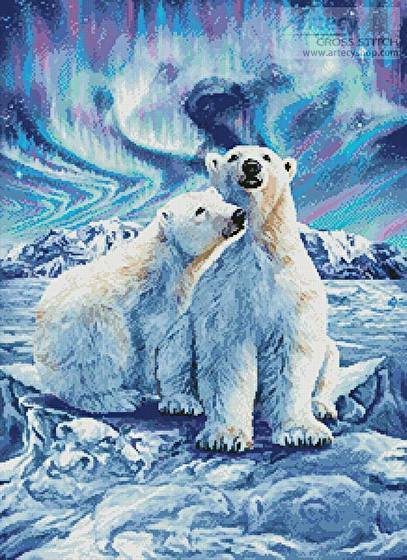 This counted cross stitch pattern of Polar Bears was created from beautiful artwork by Steven Michael Gardner. Besides the 2 main Polar Bears, there are another 8 hidden ones, can you find them all Only full cross stitches are used in this pattern.